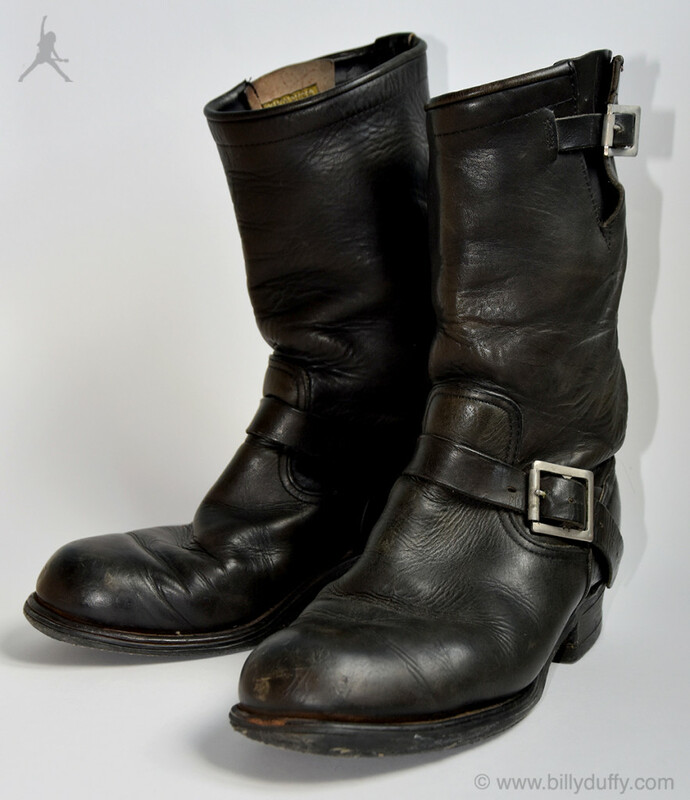 "These Santa Rosa motorcycle boots were my first ever pair of "real" 'Clash' boots. I think I bought them in 1984 on The Cult's first U.S. tour but I do remember that I had to take a taxi to get to the store which was on Santa Monica Boulevard in West LA. It was around that time that I was developing my psychedelic biker look with the paisley shirt, beads and motorcycle belt buckles. But they're probably most notable for being "the" boots from the opening sequence of 'Love Removal Machine' video!"